Presented by the Galería Lleonart in Barcelona, I exhibit my work in the Contemporary Art Fair of Madrid with other artists from that space. Jaume Lleonart, the owner of the gallery, was one of Barcelona’s most eager art promoters of the time. 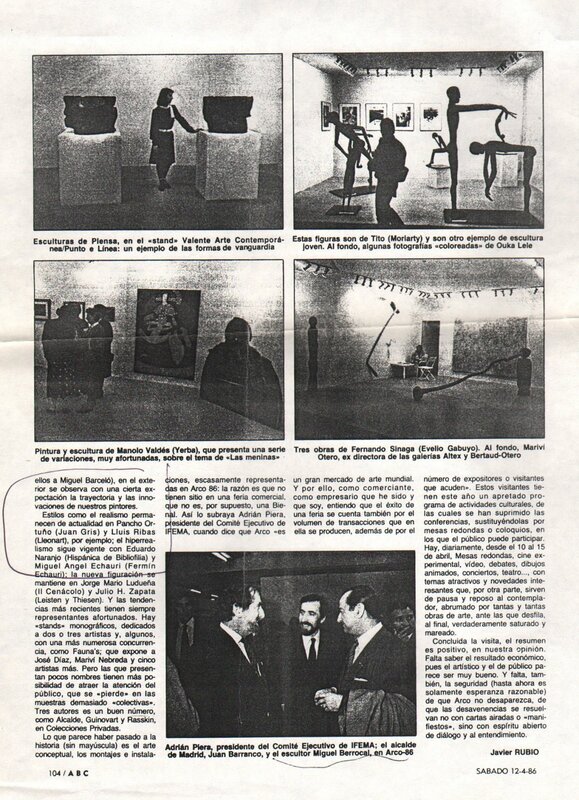 The ABC newspaper of 12/04/’86 wrote up a review (Realism styles remain current themes in Pancho Ortuño, Galería Juan Gris, and Lluís Ribas, Galería Lleonart).